To teach Middle Eastern dance in an academic framework which incorporates the study of music, Culture and global relevance. Create, choreograph and produce compelling dance theater which inspires, educates and illuminates. Dance Theater; written, produced, directed and performed.All performances were sold out and danced to live music.“The Hole Hanan” @ El Hueco, “El Hueco” black box theater, Little Havana 1/2001“Hanan Lit Up” @ the LightBox Miami Light Project 3/2001*“Hanan with other friendly gods and goddesses” @ Hoy Como Ayer 9/2001,*mentioned in the Miami Herald’s top 10 dance shows of the year 2001.“Bellydance under the stars” @ Café Miro , biweekly dance series Miami Beach 2001-2002“habibi: a hip-hop bellydance love battle” @ PS 742, Little Havana, Fla*received a Community Grant award of $5000.00 by Miami-Dade CountyHanan-a-rama; The Cabaret. 4 part historical performance series at Hoy Como Ayer, Little Havana. “Godlyplay”, Sunday school teacher at St. John’s on the Lake Church. Volunteer with the Latin Film Festival of Miami (4 years). Published Music Critic/Feature writer with Miami New Times 2000-2003. 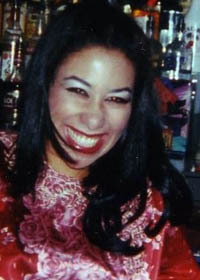 Freelance writer and published contributor with Fodor’s travel, Visions Magazine and Habibi dance magazine. Wrote the program for the 2003 Lollapalooza tour.